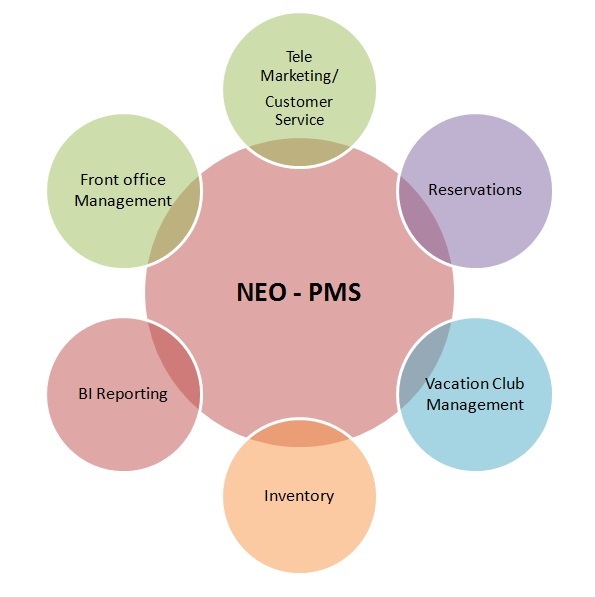 Neo is a Property Management System used to manage all areas of a Resort/Hotel including Marketing, Sales, Reservations, Resort Management, Inventory Management and Accounts that seamlessly integrates all department and client data within a single system. Neo is a cloud based lighter version of Property Management System used to Manage Front office, Reservations which can be easily integrated with Booking engine and channel managers. Neo is a Club service Management System used to manage club services including Customer Services, Reservations, Contracts (Transfer Property/Reinstatement/Reassignment/Reposession/Cession) and Accounts which integrate all departments and client data within a single system.